I was very surprised by the traffic flow here in Shanghai, or perhaps I should say lack thereof. Never have I seen such a deadly traffic chaos on a daily basis. If you want to grow old in this town, you’d better stay far away from the roads. 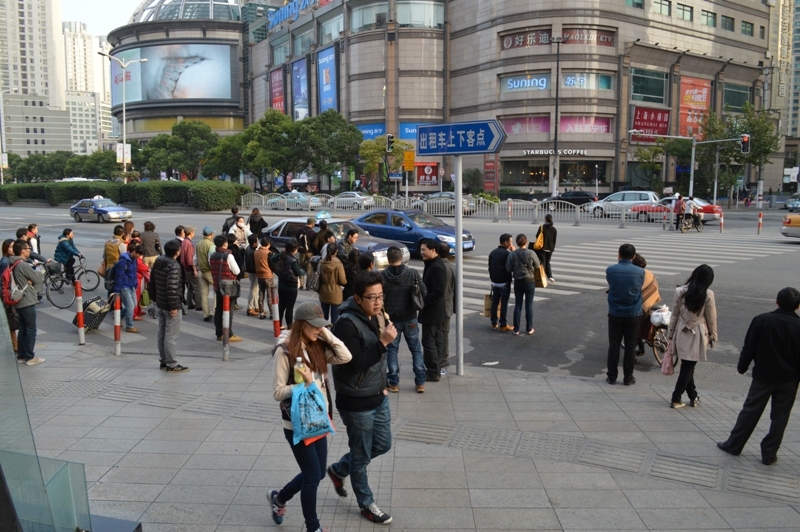 When my Chinese colleagues visited earlier this autumn, they told me how to cross a street in Shanghai. They said “when you’re a group of at least 5 people, it’s safe to cross the street. Because hitting many people is expensive”. I laughed and thought they were exaggerating. They were not. The signals seem to be viewed only as a recommendation. People actually stand half way out in the street waiting for the light to turn green, or for enough people to show up. People standing around waiting in the middle of the road. The cars are no better. They drive pretty much when they feel like it. Today I saw a bus driving through a red light without even slowing down. But it did sound the car horn. I guess that’s better than nothing… The cars cross the traffic lanes pretty much as they feel like it and completely ignore any solid lines. They also enjoy using the horn and high beam. This woman obviously believes she’s a motor vehicle. But this chaos wouldn’t be complete without the mopeds. Since it’s very expensive and hard to get a car, most people have a bicycle or ride a moped. They’re usually in the lane to the right but when they reach a crossing they’re everywhere! As a pedestrian, you need to look out for the cars, buses, crazy moped riders and other pedestrians. When I first saw this video I thought the guy was drunk, now I’m not so sure any more. 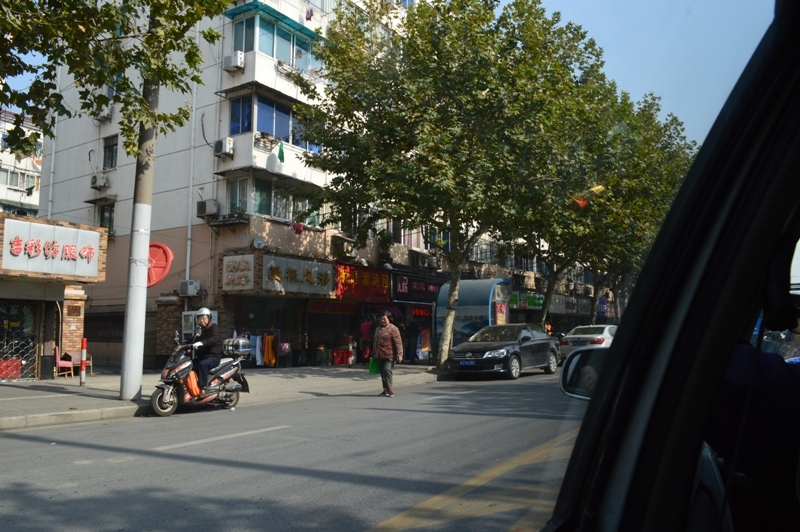 Categories: Travels | Tags: China, Shanghai, traffic | Permalink.